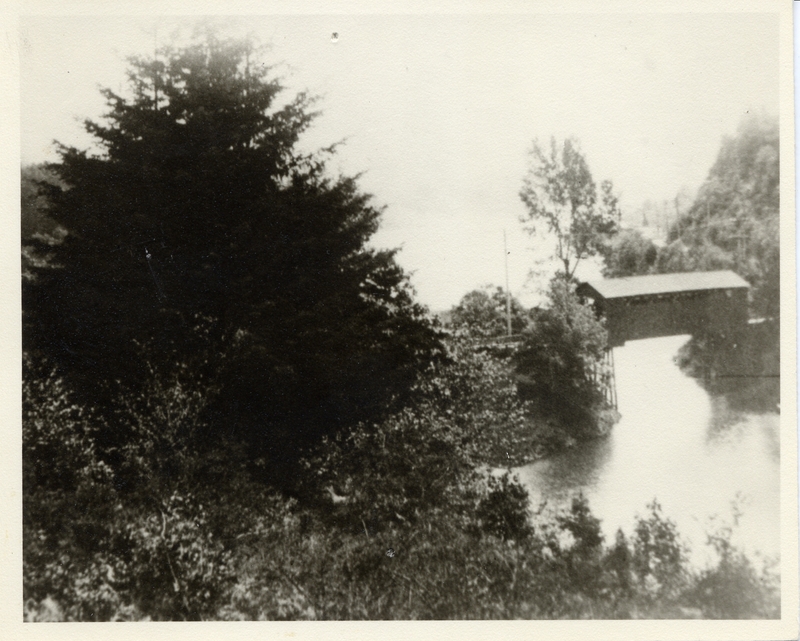 River road bridge over Oswego Creek. Returned to Oswego Library Files. OL#52, OA#52. Description Pinhole in top of photo. Very similar to 82 and 132. Transcription River road bridge over Oswego Creek. Returned to Oswego Library Files. OL#52, OA#52.